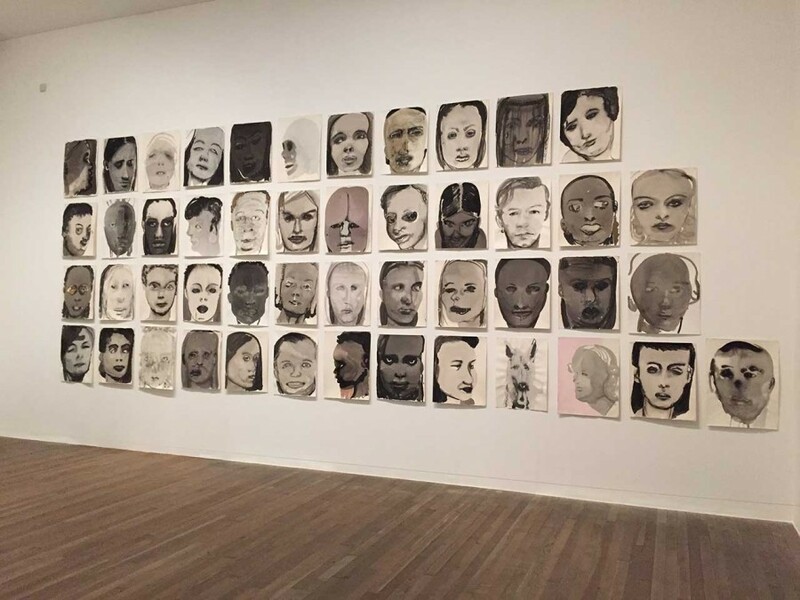 Currently on view at Tate Modern is Image as Burden, a retrospective looking at the career of the prolific South African painter Marlene Dumas. 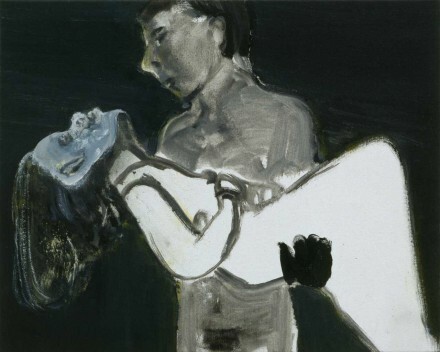 Adopting its title from an oil on canvas painting in which a male figure is depicted carrying a female figure, the retrospective, considered the most expansive survey of Dumas’ work in Europe so far, sheds a light on the exceptionally subliminal oeuvre of Dumas, who has, for the most part of her career, maintained a humble profile despite the scholarly and commercial recognition her work has achieved globally. From her portraits of contemporary figures such as Amy Winehouse, Naomi Campbell and Osama bin Ladin to her oblique representations that maneuver around Abstraction and Surrealism; Dumas’ work blends into an untold mystery. The Painter, for example, is Dumas’ portrayal of her own daughter as a baby with her hands covered in what the title refers to as paint; however the similarity of the somewhat red liquid to blood is unquestionable. The absence of any narrative or a setting in this painting on the other hand is a typical of the artist, who chooses to paint her figures from their photographs to build a distance between her and her subjects. Whether the deceased in eternal sleep or babies with eyes full of curiosity and exuberance, Dumas’s models posses one thing in common: the burden of human condition. Vulnerable, perplexed and carnal, her subjects get their share from her tempestuous brushstrokes that she, in her own words, consider to be “amoral.” What she conveys is an uncompromising boldness, from her depiction of Ingrid Bergman in From Whom the Bell Tolls to her 22 Great Men series in which she brings together twenty-two influential gay men from history. Not hesitant to go extremes, her sources display marginal features, simultaneously containing serene calm and frantic turmoil. 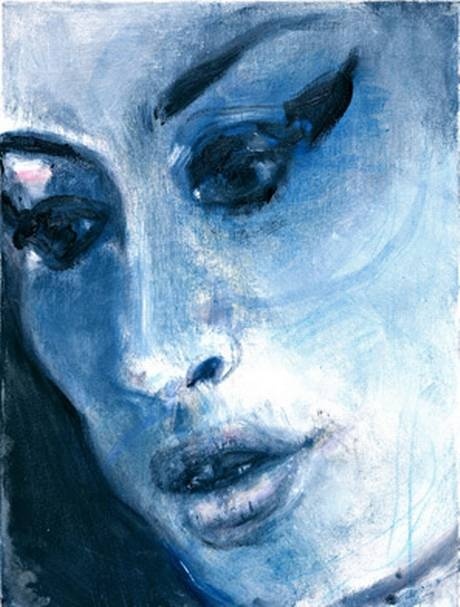 Opening the exhibition is a group of drawings that Dumas dropped from her other series for different reasons since 1994. Appropriately titled, Rejects is not only an accumulation of rebuffed portraits that failed to fit the rest of her works, but a reflection of Dumas’ constant dialogue with herself and her subject matters. 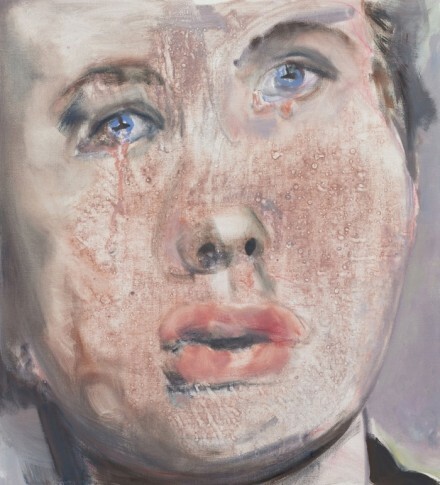 Easing the burden of being, Dumas as an artist questions the burden of being an artist as well. Marlene Dumas: Image as Burden is at Tate Modern through May 10, 2015. 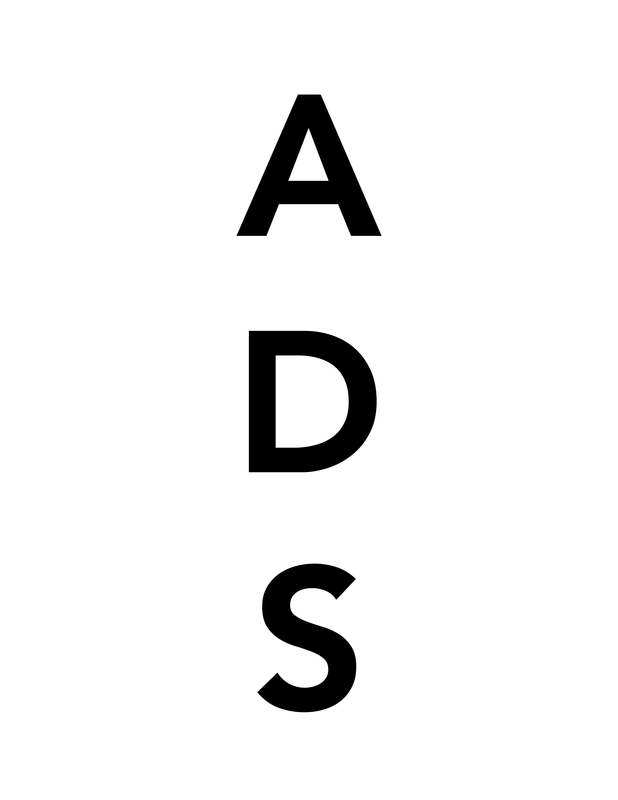 This entry was posted on Thursday, April 23rd, 2015 at 12:00 am	and is filed under Art News, Featured Post, Show. You can follow any responses to this entry through the RSS 2.0 feed. You can leave a response, or trackback from your own site.